The New York Review of Books is technically a magazine, but comes under the guise of a bound, awkward newspaper you can’t fold. But if something’s ain’t broke, why fix it? And the NYRB has been publishing its semi-monthly magazines since 1963. What’s most interesting about the NYRB isn’t necessarily its longevity (though that is impressive, especially considering the demise of paper journals), but its very content. The title is somewhat misleading, as the magazine doesn’t focus solely on books, but contains articles on everything from current affairs to literature to science. They also include essays and reviews, as well as original works by well-known writers. This was the goal of the magazine’s founders: they wanted to publish a magazine featuring “the unusual, the difficult, the lengthy, the intransigent, and above all, the interesting.” The early editors also wanted the Review to “be interested in everything…no subject would be excluded. Someone is writing a piece about Nascar racing for us; another is working on Veronese.” There is literally something for everyone in this magazine. The magazine eventually expanded into book publishing, and you can buy books on their site. The publishing side is also unique, printing translations of works previously unavailable in English, and, in the case of its Children’s Collection, reintroducing books that are no longer be printed or have fallen off the radar. One downside to the magazine is its price, which is $79.95 per year. It’s not exorbitant by any means, considering the material, but may be out of reach for many of us. Thankfully, you can take a look at the New York Review of Books, the New York Book Review, and the London Review of Books in the Colonnade in Ellis Library with other newspapers and journals near the display cases. 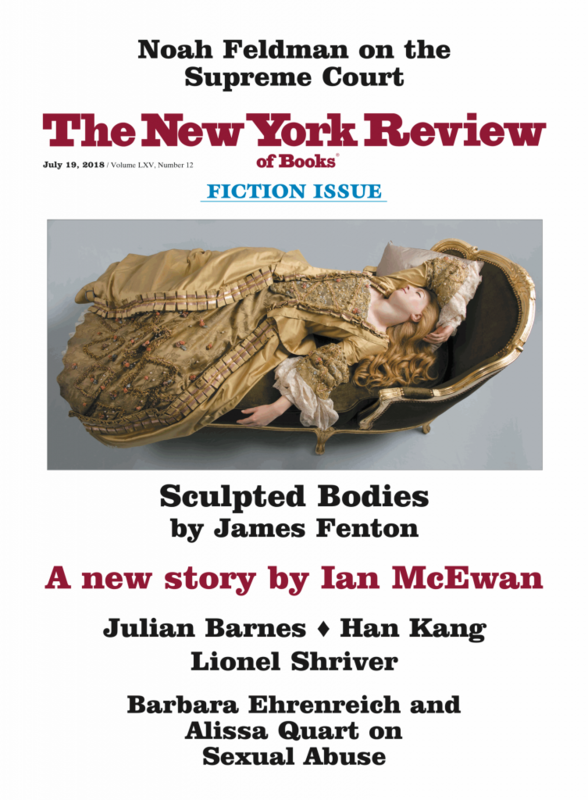 For a preview of the kinds of content they run, you can check out a great short story by Ian McEwan, available free on their website: http://www.nybooks.com/articles/2018/07/19/dussel/.